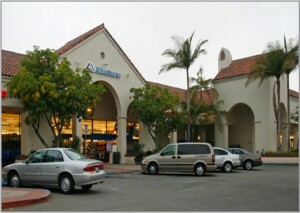 CapEx site improvements of the existing 189,000 square foot Five Points Shopping Center located in Santa Barbara, CA. Construction commenced in late Summer 2013. The team reconfigured the parking lot to increase parking demand, removed & replaced of asphalt, sealed & striped the asphalt, new landscaping, adjusted existing irrigation, new storm water drainage & treatment, some new hardscape and site furnishing upgrades, as well as new monument signage for better tenant visibility. On behalf of Regency Centers Corporation, Urban One provided construction management for the site improvements of the shopping center. Five Points Shopping Center is a 144,543 square foot shopping center located in Santa Barbara, CA. 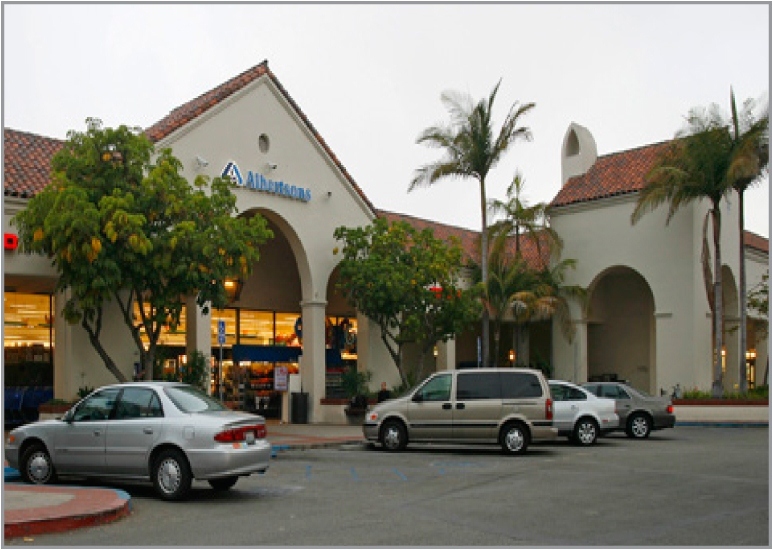 Located in the heart of the City of Santa Barbara, situated on upper State St, off of Hwy 101, and across the street from regional mall La Cumbre Plaza, the center’s location sits in a dominate neighborhood serving the city. The neighborhood is home to 76,222 residents within a 3-mile radius, with an average household income of $103,564 and a daily traffic count of 137,000 vehicles. 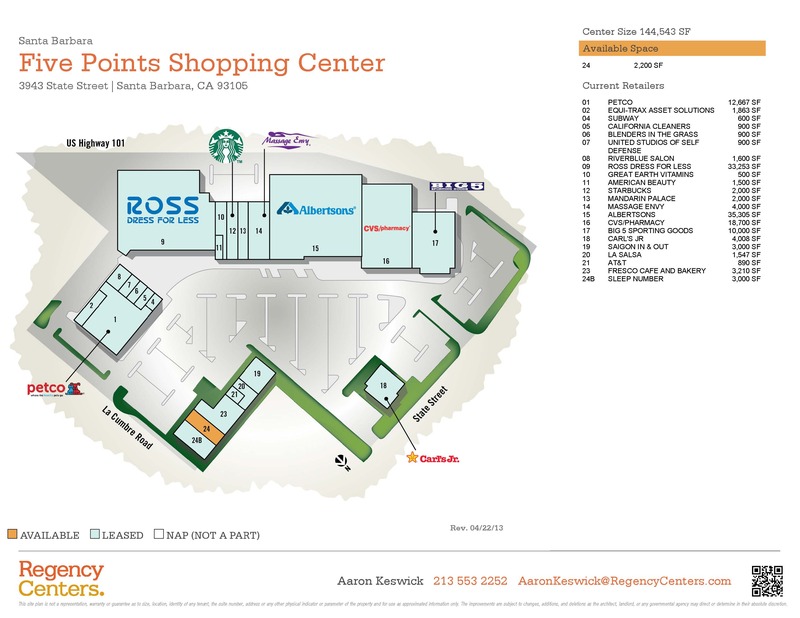 The Center is currently supported by a strong and stable mix of tenants, being grocer & pharmacy anchored with Albertsons and CVS Pharmacy. Other tenants include ROSS, Petco, Starbucks, Big 5, Subway, Carl’s Jr., Equi-Trax Asset Solutions, California Cleaners, Blenders in the Grass, United Studios of Self Defense, Riverblue Salon, Great Earth Vitamins, American Beauty, Mandarin Palace, Massage Envy, Saigon In & Out, La Salsa, AT&T, Fresco Cafe and Bakery and Sleep Number. All of the existing retailers remained open during the site improvements, which occurred in late Summer 2013. Check out progress photos of the Five Points Shopping Center Redevelopment on Urban One’s Flickr page.